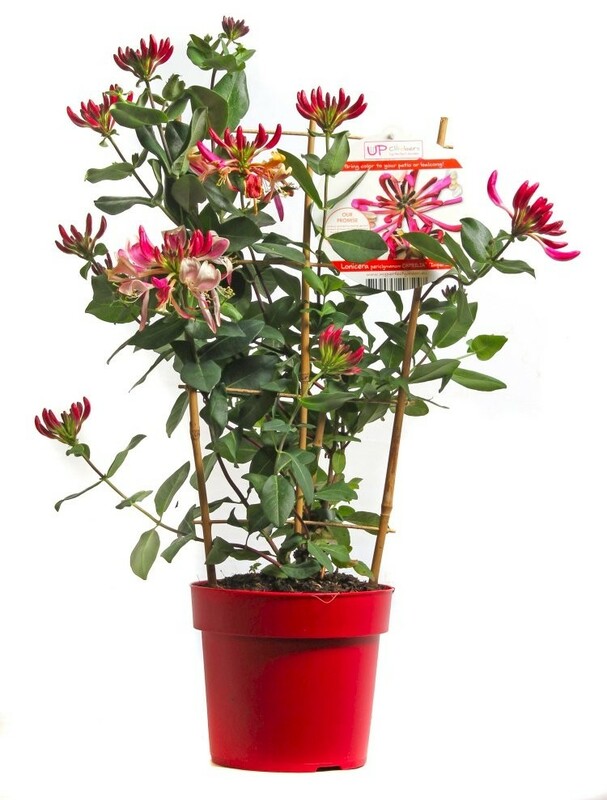 This Imperial Cream Honeysuckle is a compact and free-flowering compact form of climbing honeysuckle with masses of reddy-pink-flecked buds that open to reveal fragrant creamy coloured flowers. 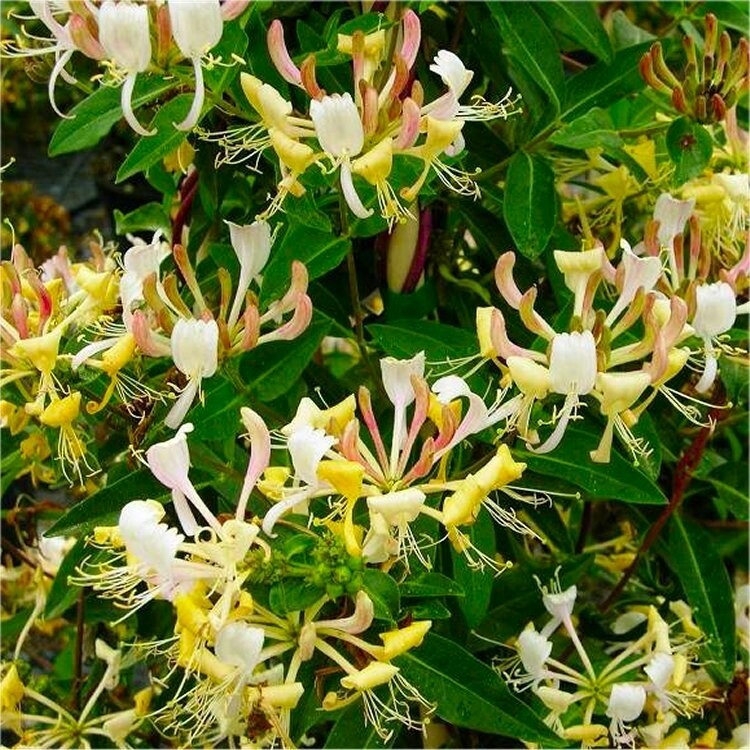 Preferring a position in full sun or partial shade with a fertile, moist but well-drained soil, it will reach an eventual height of approximately 2-3 metres and is a useful climber for smaller gardens, it's compact nature means that unlike most other honeysuckle varieties it is also happy in patio pots. Supplied trained on a frame in approx 3-5 litre containers.